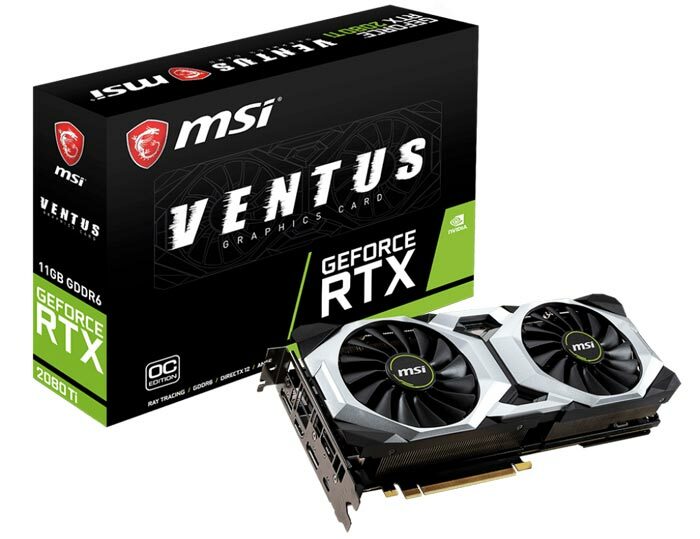 Just ahead of the weekend HEXUS ran with its traditional QOTW, and the latest question was whether users are preparing their wallets to shoulder the burden of purchasing an Nvidia GeForce RTX 20 Series graphics card. From reading through the host of replies it seems like most GTX 10 Series owners will skip the new generation and even those with older gen cards appear to wish to hold out. Put simply many seem happy with the GPU performance and monitor combo they currently use and the pricing of the RTX 20 Series is prohibitive. Those with an inkling to update are largely waiting to see any price action away from MSRPs and/or see how the new entrants will affect previous gen card pricing from Nvidia and AMD. With pricing being such an issue, these aren't 'jewellery' like iPhones, it was interesting to hear how GPU pricing could be on the up thanks to Trump's latest set of China trade tariffs. These tariffs come into force today in the US of A and it is thought that the vast majority of PC components, except for SSDs, will be hit by price rises. WCCCF Tech points out that prices will be pumped up by 10 per cent if the brand passes on the tariff increase to the customer. Some manufacturers will shift/start to shift production or assembly away from China. There have already been indications of Taiwanese vendors moving production back to the island. WCCF Tech reckons that big Taiwanese component makers like MSI and Gigabyte with manufacturing facilities still available in Taiwan, will be able to sidestep the tariffs within two months or so. However, China/Hong Kong companies such as ZOTAC won't have this option. 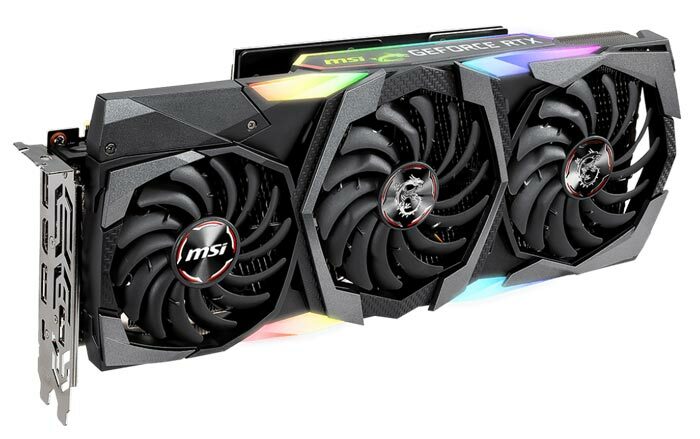 The source shared an MSI price list with the pre- and post-tariff pricing across its RTX-20 Series SKUs. Prices are going to be approx US$50 to $80 more, which don't represent 10 per cent pricing hikes, so it looks like MSI is shouldering some impact here (if source is correct). In the UK we will probably be immune to these price rises. However, while we don't have Trumpenomics at play here (yet), the Great British Pound isn't what it used to be and the government show little interest in supporting its value. Something happened in June 2016 to push it off a cliff and it remains very 'nervous'. We could talk about EUR/USD but perhaps more relevant is the GBP to New Taiwanese Dollar (NTD). GBP to NTD was rather stable, with £1 being equivalent to 50NTD or so or more over the preceding 10 years, and now it's just 40NTD, a chunky 20 per cent fall. I tend to agree that we won't feel the impact of this immediately - partly as we've already had a hit following Disaster Day 2016, but partly as we still have another few months left before March 2019. After that who knows how much higher the prices will climb! A bit short-termist there, Spud. While I detest Trump, the reasons he gives for tariffs are entirely true, and have bern for years. Well, decades really. China is NOT, and never has, competed on a level pkaying field. That might have been bearable when they were a heavily agrarian economy trying to did about 1.4 billion people out of 16th century pre-industrial lives, but it sure is not any more. So the issue is really whether tariffs work, and China starts treating thecrest of the world fsirly, or not. It's about far more than, and frankly vastly more important than, short term consumer pain, be it GPU or anything else. And so is disa …. sorry, Freedsy Day, 2016. Is that going to cause short-term disruptions? Sure. It was never not going to. But it's also about far, far more than short term changes in exchange rates, consumer prices or whatever. It's about our country for 10, 20, 50 years or more. And so are many, many decisions made by governments. Or in this case, made by the people, though apparently not accepted by a good chunk of those that voted and lost. Will it prove to be a disaster, or a huge success? Nobody, and I mean nobody knows. Absolutely everybody, on both sides, is making a whole shedload of assumptions about what the future holds, before they can even start making economic predictions, and that's JUST the economy. For instance, will the EU 3ven exist in 20 years, or will it have been torn apart by Greek-style d3bt pressures, or the rise of ultra-right parties? Answer? Who knows? Nobody. My guess? It'll survive. But nobody knows. Assume (and remember that word) Trump's tariff war with China succeeds in getting major reforms. What protectionist economic block will he go after then? Hint …. he already started. So, UK in EU gets hit by that. UK outside EU doesn't. And what does that do for UK ecports to US, or for UKP to Euro exchsnge rates? Will it happen? I don't know, and nor co the “experts” making predictions about how bigca disaster Brexit will be. Anybody with any decent ecinomuc knowledge kn8ws full well that economic models csn only tell you so much, especially gravity models, and they are UTTERLY dependent on the assumption you bake in, at the start. And even then, they're entirely dependent on vastly complex systems (like, oh, a nation's economy) behaving in a way suggested using past reactions ascs precfictor a future reactions. They are ever only s guide, andceven then, pretty mych useless in predicting unprecedented events. And BREXIT is about as unprecedented as unprecedented gets. Will it be a disaster? Will it be a monumental success? Show me someone claiming they know, and I'll shiw you someone that's either a liar or an idiot, because short of a time machine, it's impossible to know. It is, however, entirely possible, to big up either the downside ir the upside, in order to scare or bribe, the sheeple. Short termist to a degree yes - but ultimately I'd argue the opposite. I am someone who thoroughly believes in the concept of a United States of Europe (heck ultimately the world) and that although that itself would take another few generations before we're truly ready for it imo it would be a good thing for everyone. The further we grow apart whether that's USA vs the world or UK vs EU, the more problems we cause in the world as a whole. I really take a strong dislike to over protectionist, short term inward facing policy like this. Sure putting up tariffs like this may give a short term boost to the economy of the USA - but looking at the world as a whole it's a net negative effect. America prospers whilst others begin to suffer again. On the USE, if you believe in it, then like being a socialist or not, catholic or not, vegetarian or not, that's your right. It's a bit like noses - we've all got one. And a good thing, too. I don't agree, as it happens. Or rather, to narrow it down, I don't believe in the UK being in it, and to narrow it down even more, I have no conceptual problem with a USE, or the UK being in it. I just don't want any part of being in a USE that looks anything like the current EU, and because of repeated attempts, over decades, to defkect the directionbof the EU, I don't want to be in what a USE coming out of the distant, overly-beaurocratic and undemocratic EU we currently have. So if you see us leaving the EU because we won't be in some future USE as enough to call it a disaster, fair enough. But I'd suggest that the vast bulk of ‘remainers’ call it a disaster on economic grounds. Ir at least, that's the constant refrain we all hear from talking heads. And on those grounds, I refer back to my previous post - nobody knows whether, financially and economically, it'll be a disaster, a rip-roaring success or, most likely, somewhere in-between. As for Trump, my point was rather that the long-term aim of equalising trading conditions, of getting IP recognition and respect, of stoping righrs grabs, puts BOTH sides on an equal footing and, longer term, is right for both. But getting there may take the pain of a tariff war because, feankly, nothing short of that has worked. It is, if you like, short term pain for long-term gain. For both. Oh, and I doubt there'll be much short-term gain for the US economy. The game, I think, is rather different. The US will suffer, but China will suffer a lot more. Time will tell if it works out that way. I'd also argue that a United World, while laudabke, can't work with the overtly protectionist stsnce of China. That's rntirely WHY there's a tariff war …. to get China to drop its protectionusm and open up. Oh, and BTW, you are aware that a very major pkank of the EU is protectionism, yes? It's what much of our current arguments are about - the Custons Union. That, emphaticalky and deliberately, is about pritecting anyone inside the customs union against anyone outside it. It was one very fontentious point wheb we joined the Common Market - we were a major teading partner with, for example, Australus and New Zealand and they suddenly found one of their msjor expirt matkets us) inside a orotectionist barrier that they were outside, and it hurt them hugely. *opens door*..Is this the Trump's China trade tariffs support group?